This is one of our most popular plans! 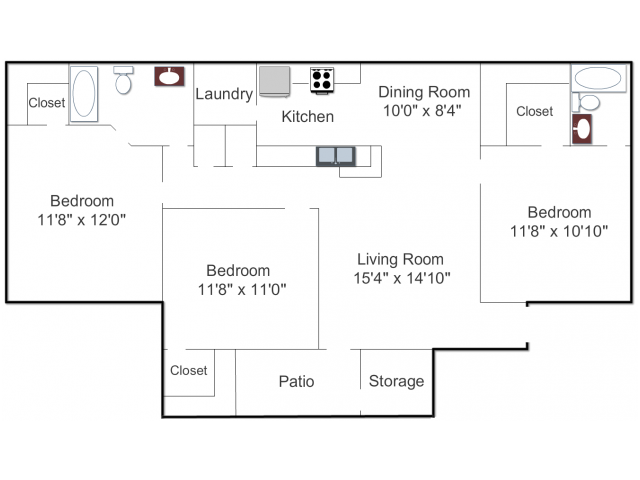 The three bedroom offers great space and storage! A nice, open living and dining room make it very easy to enjoy your friends and family and not feel as though you are stuck in the kitchen.